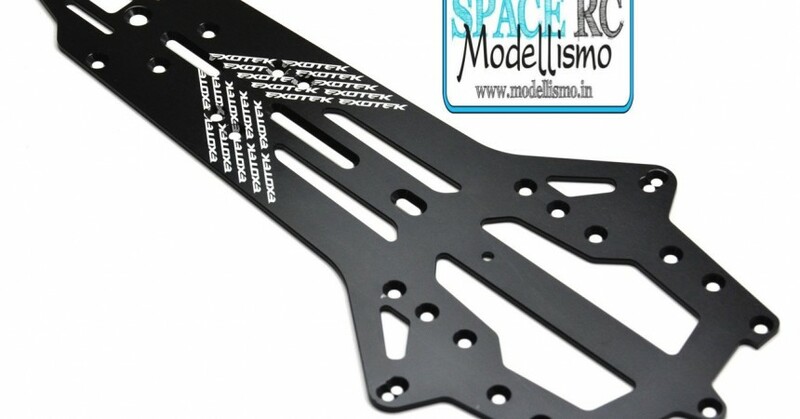 Exotek have new option parts for the F1R3 formula kit available in the form of an alloy main chassis plate, carbon fibre chassis stiffeners and new IFS soft spring sets. 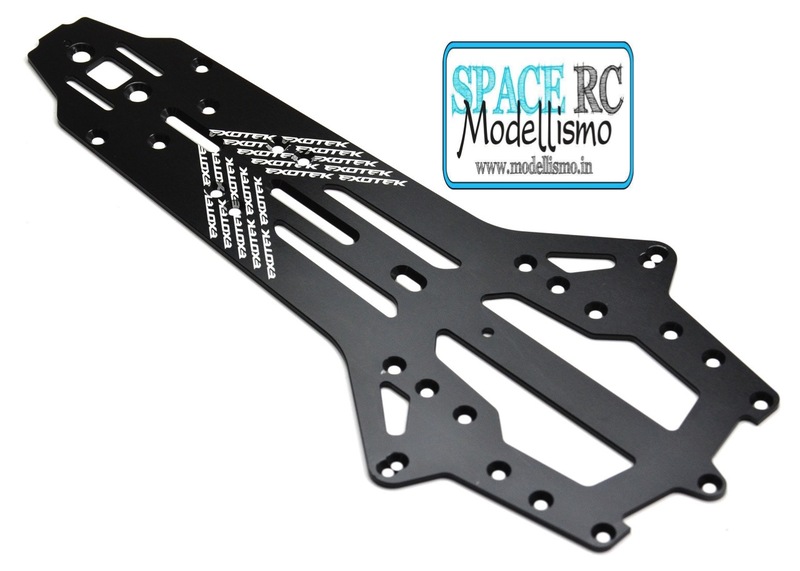 Starting with the chassis, the part is machined from 7075 alloy and made especially for the F1R3 conversion. 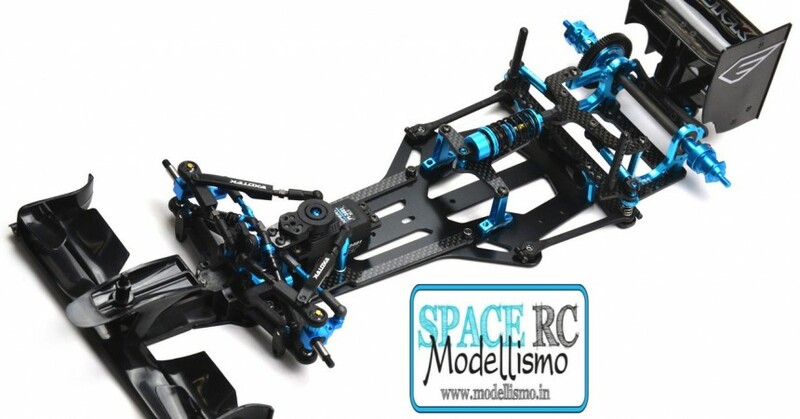 The 2mm thick aluminium material makes for a stiffer chassis feel which helps to make the car easier to drive on carpet and less prone to traction rolls. 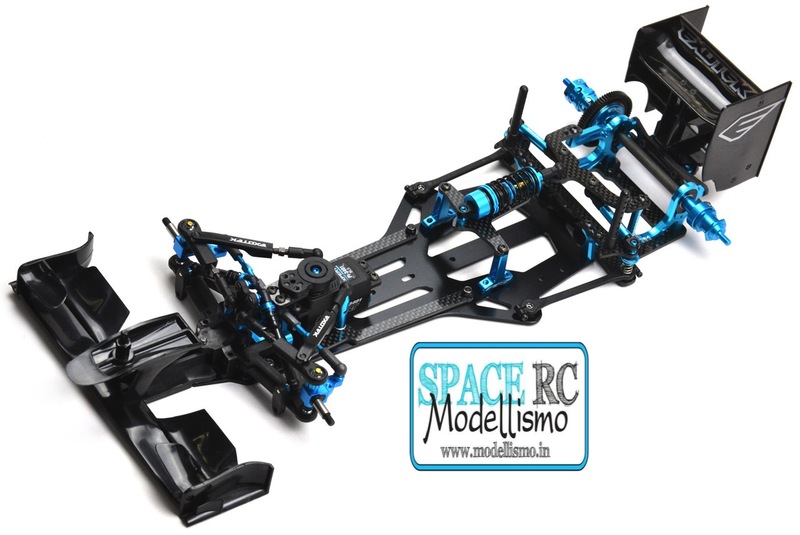 This is further helped by the additional weight of 12 grams, making the chassis ideal for high-grip carpet and asphalt tracks. Also new are the carbon fibre chassis stiffener rails for the F1R3. They reinforce the front of the chassis area to better isolate the dampening action through to the dampers instead of the chassis for more responsive handling. Included in the set are two carbon chassis braces and the needed mounting hardware. Last but not least come the new soft spring sets for the Exotek F1 IFS suspension. They add extra tuning options for when extra steering is needed thanks to the blue/medium and soft/yellow spring sets. Included are also two longer damper tube ball ends for higher ride height settings.